Full casting for the second year of TINA – The Tina Turner Musical has been announced. The sensational West End production based on the Queen of Rock 'n' Roll is currently booking at the Aldwych Theatre until 21 December 2019 in an open-ended run. Beginning 15 April 2019 and following the sad departure of American actress Adrienne Warren, who will transfer to the Broadway production, Nkeki Obi-Melekwe is set to lead the show as Tina Turner in her West End debut opposite Ashley Zhangazha as Ike Turner. Joining the new pair will be Aisha Jawando as Tina for certain performances every week, Ava Brennan as Alline Bullock, Tina's sister, Edward Bourne as Erwin Bach, Tina's record label marketing manager, Francesca Jackson as both Ike and Tina’s manager Rhonda Graam, Howard Gossington as both Lyricist Terry Britten and Record Producer Phil Spector, Irene-Myrtle Forrester as Tina’s Grandmother, GG, Jammy Kasongo as both Richard Bullock, Tina's father, and Raymond Hill, Tina's first love, Maria Omakinwa as Zelma, Tina's mother, and Oscar Batterham as Roger Davies, Tina's manager. Starring in the ensemble are Ashlee Irish as Tina’s son Ronnie, Cameron Bernard Jones, who also plays Tina’s son Craig, Chloe Chambers, Daniella Bowen, Jayme-Lee Zanoncelli, Joelle Dyson, Joseph Richardson, Kibong Tanji, and Lejaun Sheppard. 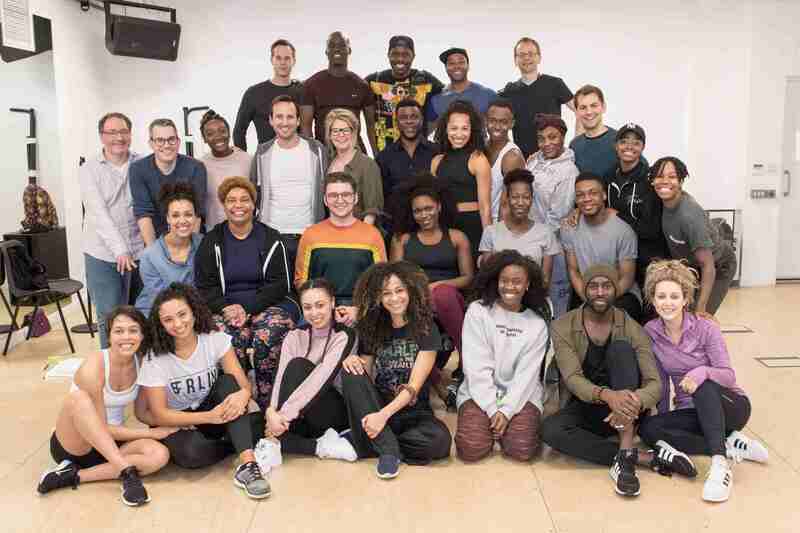 Swings include Amandla Elynah, Angela Marie Hurst, Derek Aidoo, Gavin Alex, Hannah Jay-Allan, Joshua Da Costa, Leisha Mollyneaux, and Samuel J. Weir. Starring in the children's cast are Athea Andi (age 11) from Richmond upon Thames, Navaeah Hoath (age 11) from Bromley, and Fayth Ifil (age 11) from Swindon sharing the role of Young Anna Mae, Perola Da Cunha (age 11) from Hackney, Jasmine Djazel (age 9) from Wandsworth, and Teri Ofon (age 12) from Surrey sharing the role of Young Alline, and last but not least, Romell Barrocks-Bedeau (age 9) from Lamberth, Riotafari Gardner (age 8) from Brent, and Myles Grant (age 8) from Hertfordshire sharing the role of Young Craig. The Tina Turner Musical Original London Cast Recording now available! In other TINA news, the critically acclaimed musical just released the full album for TINA - The Tina Turner Musical Original London Cast Recording for streaming and digital download today, 29 March 2019. Physical CD copies are expected to be released at some point later this spring. Featuring the fabulous voice of Adrienne Warren, the album recently just issued its second single, 'The Hunter' featuring Kobna Holdbrook-Smith. The Original Cast Album for TINA was recorded in February 2019 at Angel Studios in London and was produced by Nicholas Skilbeck, Kurt Deutsch and Tom Kelly. TINA - The Tina Turner Musical Aldwych Theatre tickets on sale from £26! See why everyone is raving about the Olivier Award-nominated musical, which is slowly becoming a global phenomenon thanks to a production in Hamburg, Germany and an upcoming Broadway premiere! Book your tickets now and secure the best seats and prices for the London Tina Turner musical. Purchase your tickets for TINA - The Tina Turner Musical at the Aldwych from £26.